They say old habits die hard. I started using whey protein powder back in high school and don’t recall a time when I haven’t had a big tub of the good stuff waiting to dive in to when I get home from the gym. I do my best to stay up to date on the research regarding optimal protein intake via industry heavyweights like Brad Schoenfeld and Professor Stuart Phillips. 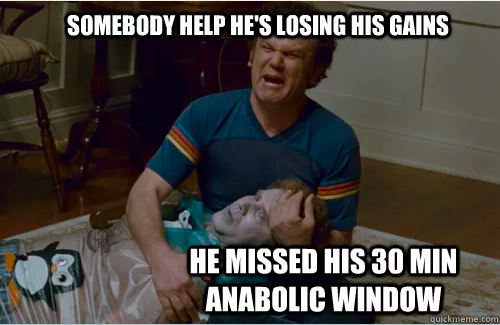 Even after learning that the post-workout anabolic window is somewhat a myth up until recently I was still very much crushing a shake the second I finished my session. The fine print should actually say i’ve stopped having protein shakes (for now). What you put in to your body should reflect your goals and my current goal is fat loss. Although it is often considered a supplement and sold in those shops with real buff dudes alongside the MASSGAINZ3000, protein powder is actually a food. It has a caloric value. For me cutting out protein powder means i’d cut out about 550-650 calories a week. Science tells us that a nice target to aim for when it comes to muscle growth would be around 2g per kg of bodyweight. I also like protein around this mark for fat loss due to it’s satiating affects. This means that if you’re already sitting around this mark then there is no added benefit to having more protein. Remember the total AMOUNT of protein is far more important than when you have it. No protein powder for a month and I continue to build muscle with zero difference in workout recovery or strength gains. This article isn’t a big witch hunt aimed at getting you all to burn your whey protein tubs at the stake but more to provoke some thoughts on if you need to consume it. The big questions now is who should use protein powder? This is all dependant on how much protein you’re currently having and your specific goals. I often recommend time poor individuals aiming for fat loss to use a smoothie with protein powder as a fast way to whip up a meal. Here’s a smoothie recipe I love: frozen berries, protein powder, handful of spinach). Those aiming for muscle growth and struggling to hit your daily protein target it is a very useful, convenient, cost affective whey (get it, WHEY) to get a high quality protein hit. If you don’t know if you’re hitting your target it would be very useful for you to check out myfitnesspal.com and learn to track your protein intake for a few days. 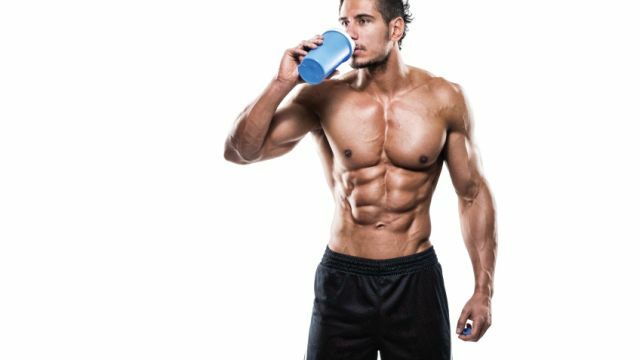 Again, those ‘hardgainers’ who struggle to put on bodyweight can use protein shakes as a nice way to boost your total calories. Remember when trying to build muscle it helps to put yourself in to a caloric surplus meaning we want to consume more energy than we burn.